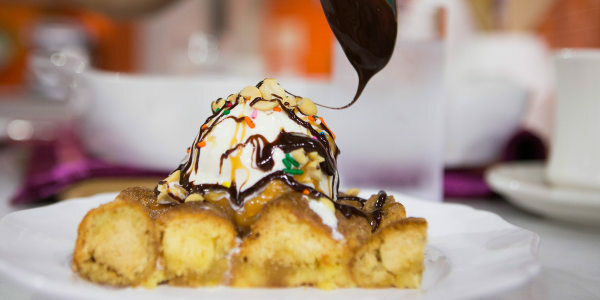 YouTube's Epic Meal Time makes doughnut-stuffed pancakes, chocolaty s'mores ravioli and an indulgent all bacon burger. 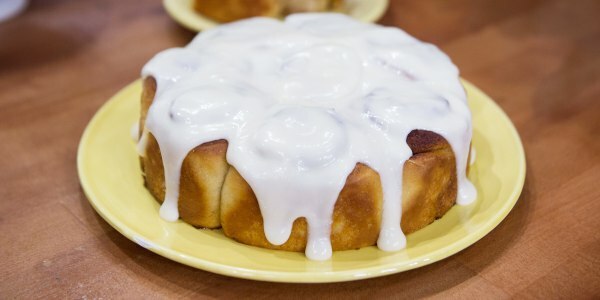 YouTube star Harley Morenstein of Epic Meal Time is stopping by the TODAY kitchen to make a few of his favorite over-the-top indulgent recipes. He shows us how to prepare doughnut pancakes with candied bacon, marshmallow-filled s'mores ravioli and a bacon-wrapped burger. What's better than pancakes? 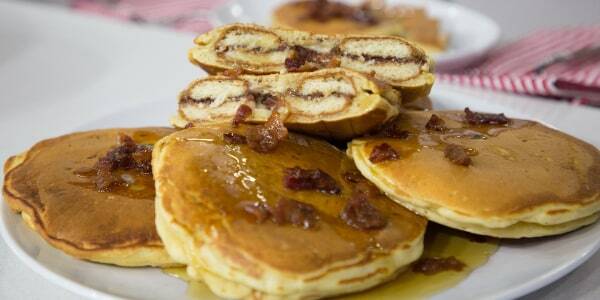 Fluffy, chocolate-filled, bacon-sprinkled, ice cream-topped pancakes! 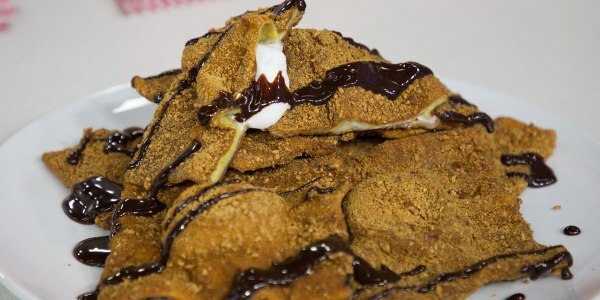 Make s'mores crispy and bite size by sealing marshmallows in a crispy graham-coated ravioli pockets. Then drown them in chocolate sauce and dig in. Don't just put a few strips of bacon on a burger and call it a day. Go all out with bacon-wrapped everything. The burger? Wrap it in bacon. The cheese? Cover it in bacon. The bun? Bake it with bacon inside.